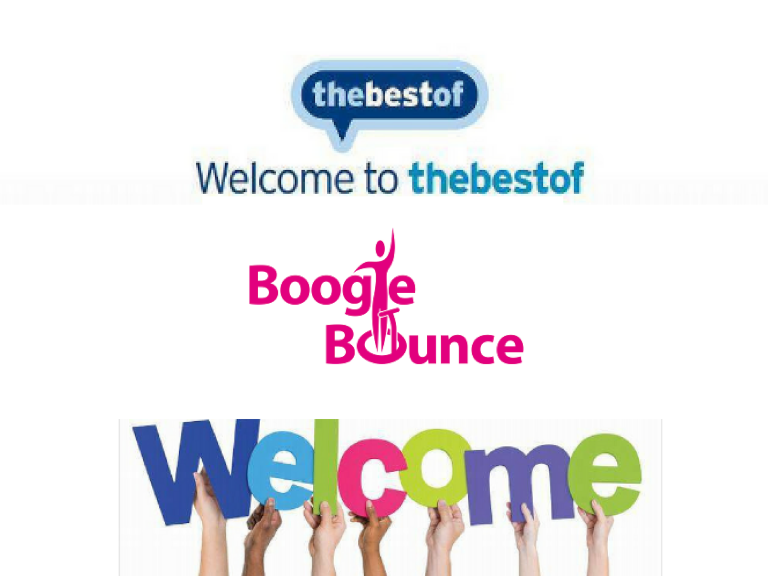 We’re delighted to welcome Boogie Bounce to thebestof. Regardless of your age, shape, size or fitness ability, Boogie Bounce, will help you get fit, in a fun and interactive way, with supportive, like minded people. Boogie Bounce Sessions are community based and have 3 awesome concepts on offer, providing you with all the benefits a gym has to offer. The fab, fun, funky, low impact, cardio programme, with an effective bums, tums, thighs & upper-body section. Bouncing on mini trampolines, for the ultimate fat burning effect, along to inspiring music. A fun, low impact boot camp/circuit style class. Incorporating mini trampolines and floor based muscle, strength & endurance exercises. A new toning programme. Resistance training on mini trampolines. Designed to focus on building a small amount of muscle, while stripping fat. So to be part of this friendly supportive community, contact Suzanne, book on one of the fabulous classes and bounce your way to a fitter, healthier lifestyle.